Even though face unlock has been a part of Android since Ice Cream Sandwich, several Android manufacturers have been working on improved versions over the past year, mostly in response to the iPhone X. 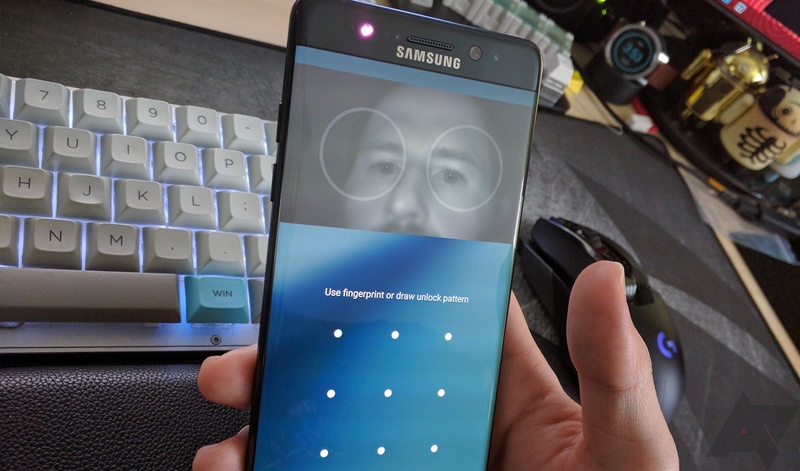 The ill-fated Note7 had an iris scanning feature, the OnePlus 5T includes face unlock, and the Galaxy S9 has a hybrid of the two features. Starting with the next Android release, it might be easier for OEMs to add iris scanning to their devices. Several commits were recently submitted to the Android Open Source Project (AOSP), which add iris identification as a biometric security method (similar to fingerprints). It's worth noting that Google itself is not the one implementing this feature; the commits are from software engineers working for Fingerprint Cards. That company develops and markets biometric technology, so most likely, the feature is being developed to help market their products (chips, cameras, sensors, etc) to manufacturers by making them work better with stock Android. The code doesn't actually fully implement iris unlock, it just creates the internal structure for the feature. Instead of modifying the lockscreen code themselves, adding the relevant permissions, and so on, manufacturers would just add their code in the proper location. The discussion on the commits is ongoing, and it hasn't been merged into AOSP quite yet. Before you get excited, there's also no indication that the next Pixel phone will feature iris unlock. You can find the relevant commits at the source link below.